The building looks unremarkable really: a standard-looking motel, albeit on a hill overlooking the ocean. But a couple of steps past the reception desk and everything changes. My gaze is immediately taken past the bar to a bright welcoming restaurant with beautiful views across Wagonga Inlet and beyond to the surf-swept beaches of the southern NSW coast. Owners Matt and Jen took over this place almost ten years ago. They met whilst working in the hotel industry in Melbourne, and chased their dream of owning their own restaurant. Their objective is “better than bistro quality” food in the restaurant, with a focus on local produce when they can. Damien greets us at the bar with a list of wines by the glass and a sneak peak at the menu and daily specials. At seven on a Friday night, the Whale restaurant is filling up steadily. We chat over an aperitif with some Robert and Sandra from the local Bodalla Dairy Shed before being shown to a corner table with the best views in the house. Sandra tells me that this is by far the best restaurant in the area. Sounds like they are achieving far better than bistro quality, then. Service is attentive but discreet, friendly but professional. 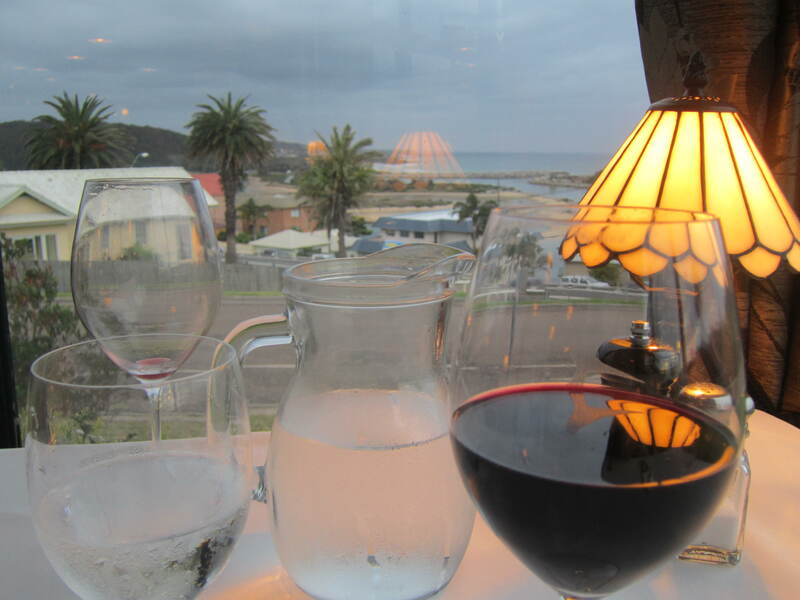 The wine list by the glass is relatively short but well-chosen: a robust glass of Barossa shiraz for myself and a local Pinot noir for my companion. We opt to share a couple of starters and main courses. 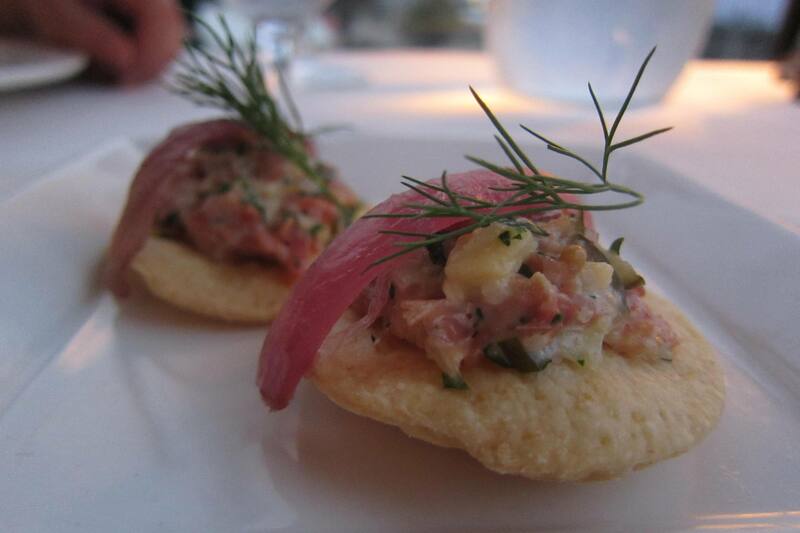 We are served a delicious amuse bouche of mustard-tinged German meat salad on house made crackers. 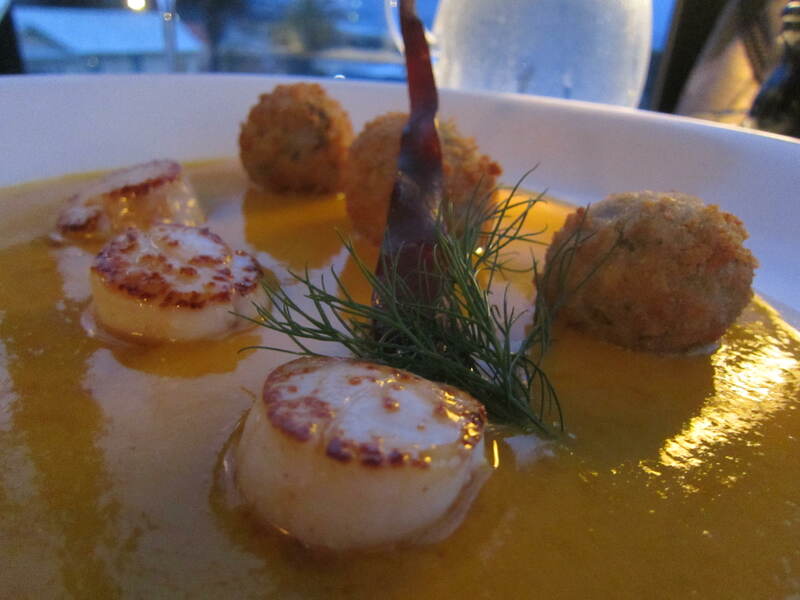 For our starters, fresh scallops are pan-seared and served with smoked Eden mussel croquettes on a puddle of wonderfully flavoursome corn chowder. Two squares of crispy pork belly are offset by slivers of Japanese radish topped with a crab slaw. Both dishes are beautiful, but quite frankly I would travel the five hours back from Melbourne to have those scallops – and that corn chowder – again. I wonder if they would give me the chowder recipe. Main courses are an heirloom carrot tarte tatin, served with some crumbled Meredith goat’s cheese, puy lentils and a carrot ginger aioli, and a roast lamb rump served with broad beans and grilled halloumi cheese. Both are sensational. The carrot tarte has me immediately analysing how I can replicate the dish at home. I would never have dreamt of pairing lamb with halloumi cheese and broad beans but the result is perfect. A half cheese platter for one is no trouble, when we confess our inability to manage a full dessert. One for the road is served on the comfy sofas by the bar, before we stagger the ridiculously short distance home to bed. My first action the following morning is to check out their website and sign up for notification of upcoming wine dinners and other special events. 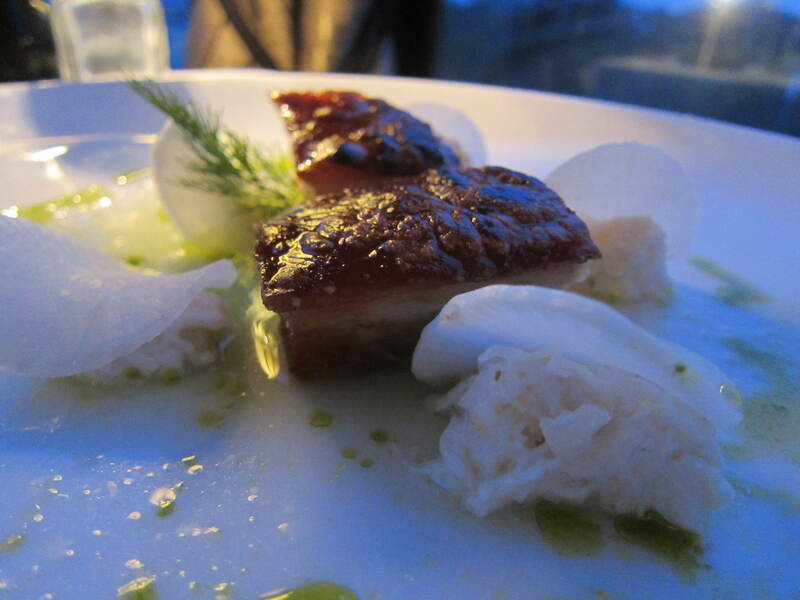 Matt and Jen have certainly allowed their passion to shine through at the Whale, and as the other diners remarked as they said goodnight to us, Narooma is lucky to have such fantastic food available in such a small town.